The visit is a great way of assessing you and your horse firstly you and your horse will act naturally in your own environment. Secondly you will be able to see exactly what John does and he will be able to show you how to continue with the work and give you more of an insight into horse psychology. Visits last between 3-4hrs, during which time you will learn why your horse is behaving as he is and what he is actually thinking. 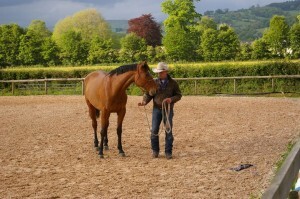 Once you understand your horse, we then give advice on how to proceed and continue the work done on the visit enabling you to communicate and develop your relationship with your horse. After the visit telephone back up is available should you have any further questions. This aftercare service is free of charge and available as long as you need it. 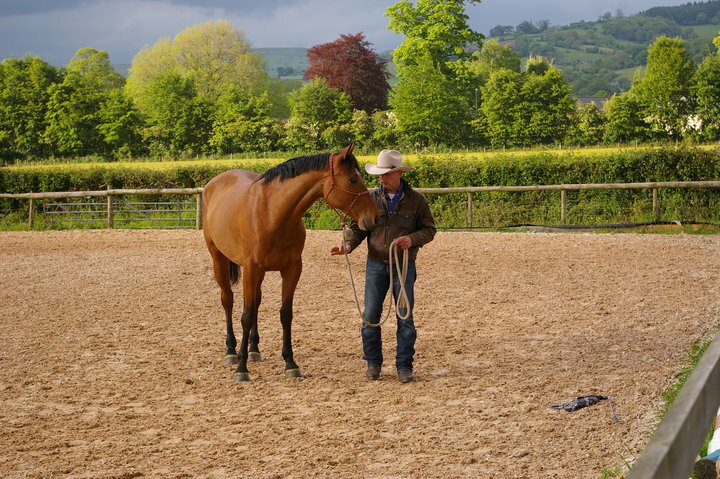 Horse training is an ongoing process; John gives you and your horse time to learn which will enable you to gain the trust and respect between you and your horse. Visit: £200 (Inc travel up to 30 mile radius – 50p per mile for additional miles). Loading Job: £250 (Inc travel up to 30 mile radius – 50p per mile for additional miles).